A one-sided agreement worth well over $112 million to [Covanta,] the New Jersey waste disposal company is currently being rammed through the Public Works Board controlled by Ballard stooges. 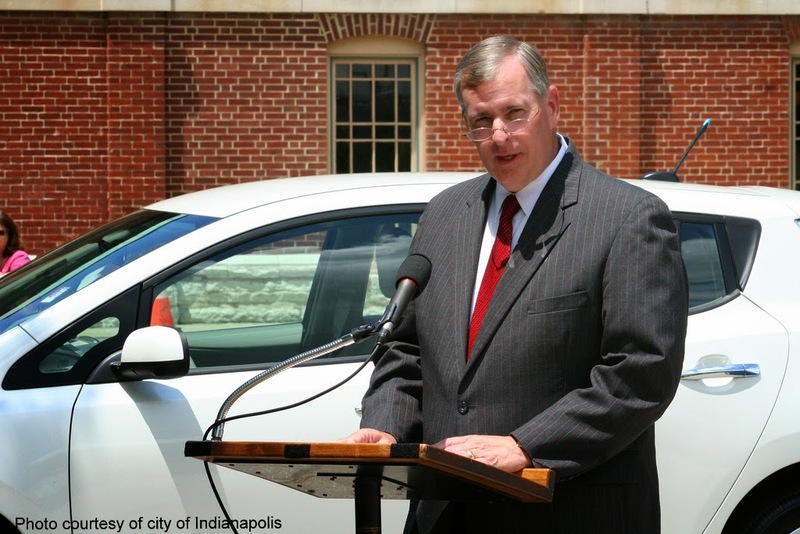 A memo by the counsel for the City-County Council, Fred Biesecker, lays bare just howbad of a deal the Covanta deal means for Indianapolis taxpayers. If approved, the City will essentially be locked into a single provider of recycling services through the year 2028. If any new technology or better recycling opportunities comes along during the next 14 years that the City might choose to implement, it will be required to pay liquidated damages to Covanta equal to $333,333.33 a month for the rest of the contract's term. That's a staggering $4 million a year penalty. "This provision clearly protects Covanta from future competition, but it is hard to see how it benefits the city," Biesecker opines. The recycling agreement with Covanta doesn't apply to any existing recycling efforts, including the curbside subscription services offered to city residents by Republic. Expanded use of curbside services, however, is discouraged under the agreement with Covanta by reducing the city's portion of steam revenue if curbside collections increase by more than 5% over the preceding year. "DPW will probably say that the city may continue to operate and support existing programs, but they probably won't admit they have a financial disincentive for doing so," Biesecker observes. Could it get any worse? Believe it or not it does. City taxpayers will be forced to reimburse Covanta for certain "additional costs," which is defined to include any real and personal property taxes levied on its recycling operations. The City will wind up reimbursing Covanta 70% of the taxes levied on its recycling operations up to a cap of $4 million. Biesecker describes this provision as "a sham intended to avoid the requirements of the abatement statute, which include council approval if the abatement property is located in a TIF district." "My recollection is that the Attorney General would not allow either type of provision to be in a state contract," Biesecker said. Under the terms of the agreement, Covanta is required to recover just 18% of waste for recycling, without glass. Critics believe a recovery rate of only 18% is inadequate, although Covanta says it will be its goal to achieve higher rates of recovery. I knew that when it was clear Ballard would likely not continue in office, that the profiteers who have run his administration would increase their looting of tax dollars to a fevered pace. Just last week we had news break that Ballard has handed out a $750,000 no-bid contract to his former campaign manager, John Cochran, to advocate for the new Justice Center. Before days before that we had Ballard announce his support for property tax and local income tax increases. Those additional revenues are not about improved city services. They are about increasing the pile of money available to the Ballard administration profiteers. Ballard is willing to throw away his own re-election and the election of numerous Republican council members to push tax increases before a municipal election. In response to Ballard's 2007 campaign slogan, "Had Enough?," my answer would be an emphatic "yes." There is nothing worse than being a Republican and watching a Republican officeholder betray every conservative principle you believe in.